The oldest known buried remains in Britain are 33,000 years old, 4,000 years older than previously thought. The findings show that ceremonial burials were taking place in Western Europe much earlier than researchers had believed. New dating techniques developed by Oxford University and British Museum researchers have pinpointed the age of the 'Red Lady' burial site in Wales, previously thought to be 25,000 years old, to 29,000 years old. 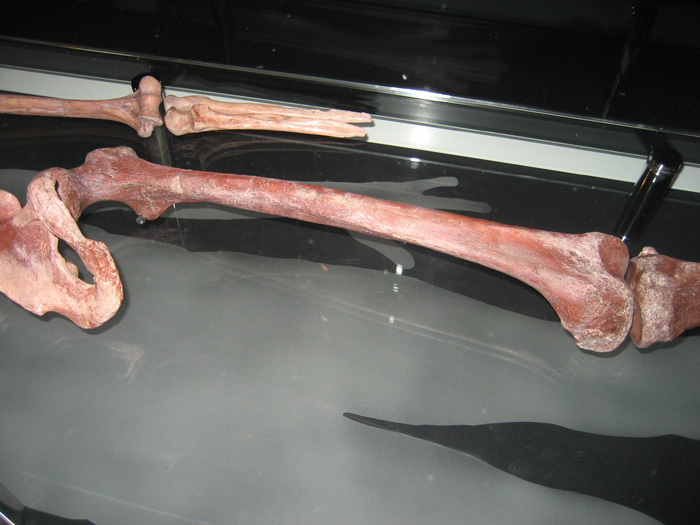 Despite the name, the bones are actually those of a man, aged approximately 21 years old. He was in good health at the time of his death and the bone protein analysis indicates that he lived on a diet that consisted of 20% fish, balanced by other foods such as horse, reindeer, roots, acorns and berries. 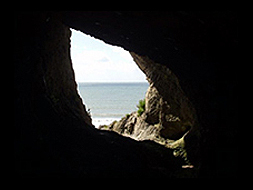 Paviland, on the Gower Peninsular, now looks over the Bristol Channel, but 30,000 years ago the sea level would have been 250 feet lower, so the view was of a richly pastured 70-mile wide plain that was full of grazing animals. 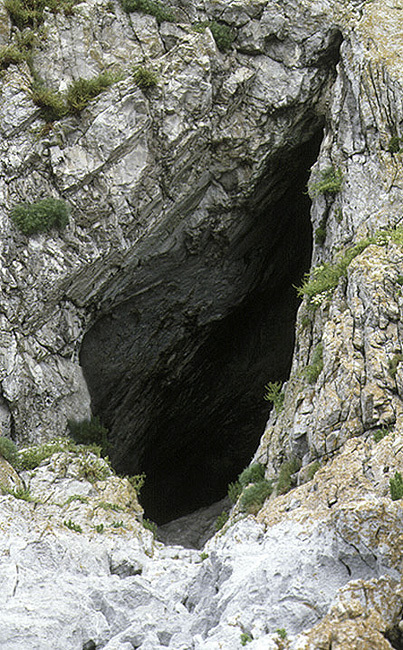 In 1823 the remains of The Red Lady of Paviland were discovered by palaeontologist and clergyman Reverend William Buckland, who removed them from the Goat's Hole cave on Gower. 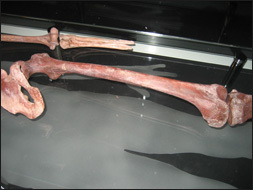 He mistakenly assumed the skeleton was female - as its bones were dyed red - and he identified it as being from Roman times. 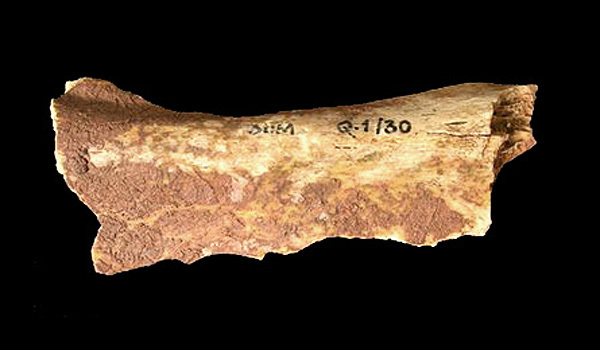 Finds in the Paviland Caves include over 4000 worked flints, necklace bones, stone needles and mammoth-ivory bracelets. Also found buried with the young man were perforated seashell necklaces identical to the 75,000 year old shells discovered at the Blombos site in South Africa. 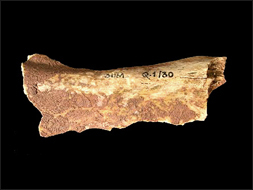 According to the researchers at Oxford University and the British Museum, the finding suggests that the origins of human burial may be found in Western Europe, and perhaps Britain, rather than elsewhere, although further dating work is required. This, however, is highly speculative. 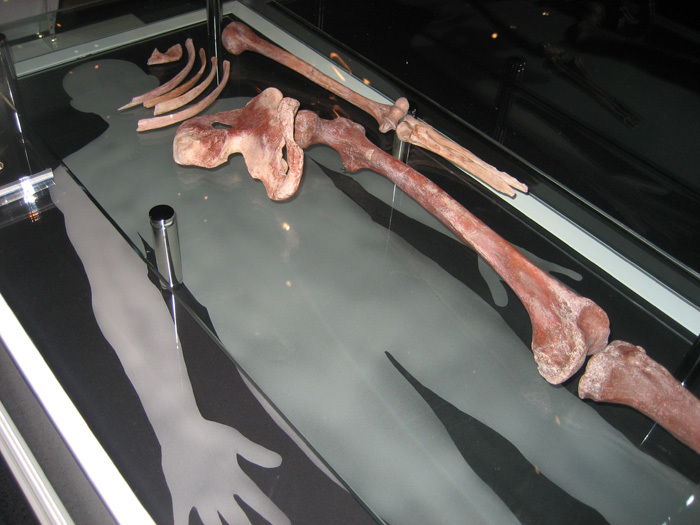 And the larger question it raises is, what did Prehistoric cultures do with their dead? Surely they would have treated the remains of bodies with great reverence. 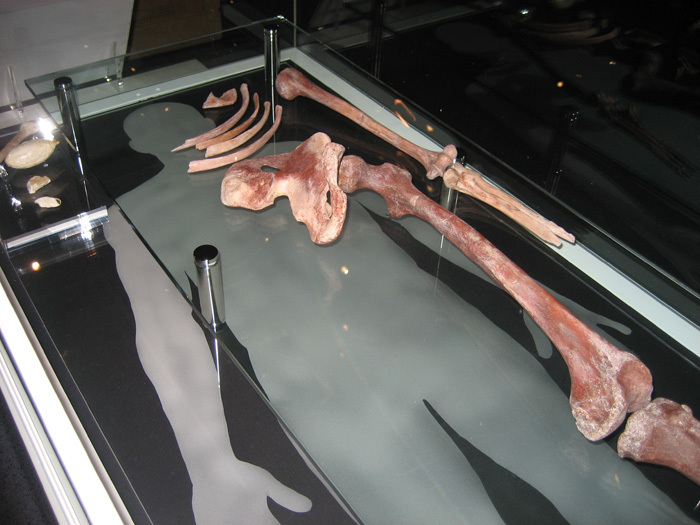 For example, the women of the Unambal tribe of northern Kimberley, Australia, carried the bones of their dead until they could leave them at the 'spirit waterhole' of the deceased. 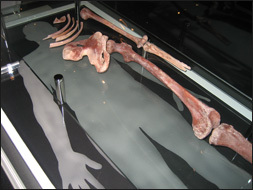 'The Red Lady of Paviland' represents a ceremonial burial in a shallow grave behind a mammoth's skull, presumably with the bones being buried after they had been rubbed with red ochre.